Small volumes of KLK6 elisa kit vial(s) may occasionally become entrapped in the seal of the product vial during shipment and storage. If necessary, briefly centrifuge the vial on a tabletop centrifuge to dislodge any liquid in the container`s cap. Certain products may require to ship with dry ice and additional dry ice fee may apply. MBS721782 is a ready-to-use microwell, strip plate ELISA (enzyme-linked immunosorbent assay) Kit for analyzing the presence of the Kallikrein 6 (KLK6) ELISA Kit target analytes in biological samples. 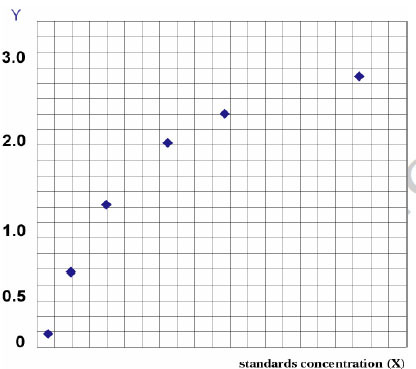 The concentration gradients of the kit standards or positive controls render a theoretical kit detection range in biological research samples containing KLK6. The ELISA analytical biochemical technique of the MBS721782 kit is based on KLK6 antibody-KLK6 antigen interactions (immunosorbency) and an HRP colorimetric detection system to detect KLK6 antigen targets in samples. The ELISA Kit is designed to detect native, not recombinant, KLK6. Appropriate sample types may include undiluted body fluids and/or tissue homogenates, secretions. Quality control assays assessing reproducibility identified the intra-assay CV (%) and inter-assay CV(%). NCBI/Uniprot data below describe general gene information for KLK6. It may not necessarily be applicable to this product. KLK6: Serine protease which exhibits a preference for Arg over Lys in the substrate P1 position and for Ser or Pro in the P2 position. Shows activity against amyloid precursor protein, myelin basic protein, gelatin, casein and extracellular matrix proteins such as fibronectin, laminin, vitronectin and collagen. Degrades alpha-synuclein and prevents its polymerization, indicating that it may be involved in the pathogenesis of Parkinson disease and other synucleinopathies. May be involved in regulation of axon outgrowth following spinal cord injury. Tumor cells treated with a neutralizing KLK6 antibody migrate less than control cells, suggesting a role in invasion and metastasis. Belongs to the peptidase S1 family. Kallikrein subfamily. 3 isoforms of the human protein are produced by alternative splicing.